I came across your product, PDF Stamp and wanted to see if you had some specific capabilities that I need. I produce a Yearly DVD Data base with several articles, which in turn are stamped with the documents’ title, author, copyright and page number(s) - the author and title are pulled from the PDF description information while the copyright is static text. I have thousands of documents that I need to stamp. 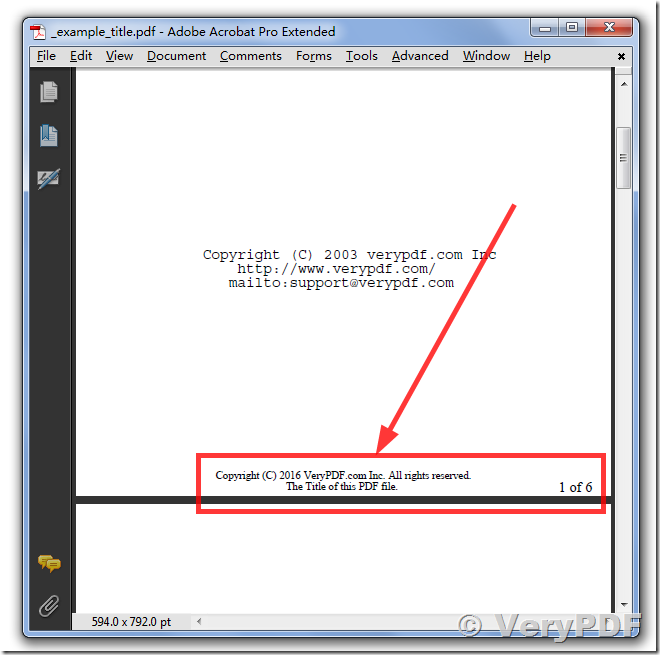 I was previously using Arts PDF Stamper, but they have discontinued that product and is no longer compatible with the most recent Acrobat Pro. Most all of the stamps were automatically generated based on the information in the PDF file. I have attached a sample document for your review to see what I’m referring to. The information at the bottom of the page is what I am referring to. I would appreciate any advice you could give. If your product can easily handle this, I will gladly purchase it, I just cannot purchase blindly without knowing if it can meet my needs. Thank you for your time. Is it possible to print a pdf file (adding a text) directly on a printer by pdf stamp? 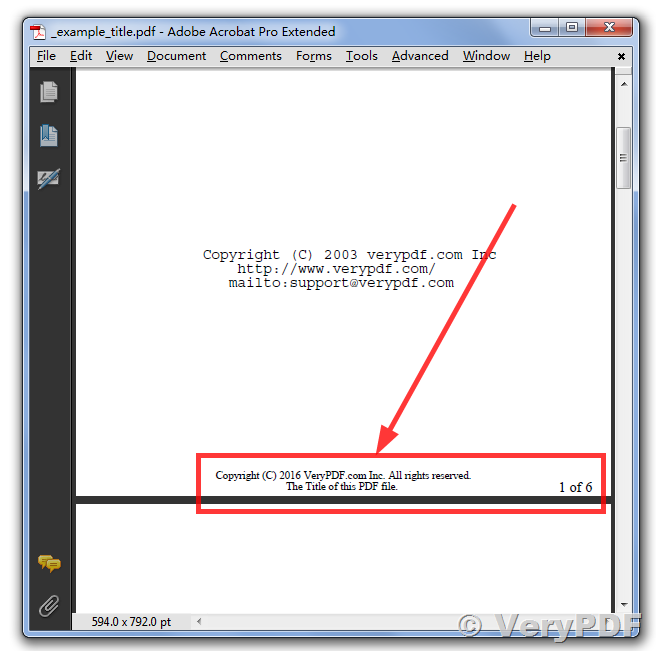 This entry was posted in PDFStamp Command Line and tagged pdf stamp, pdf watermark, stamp PDF. Bookmark the permalink.